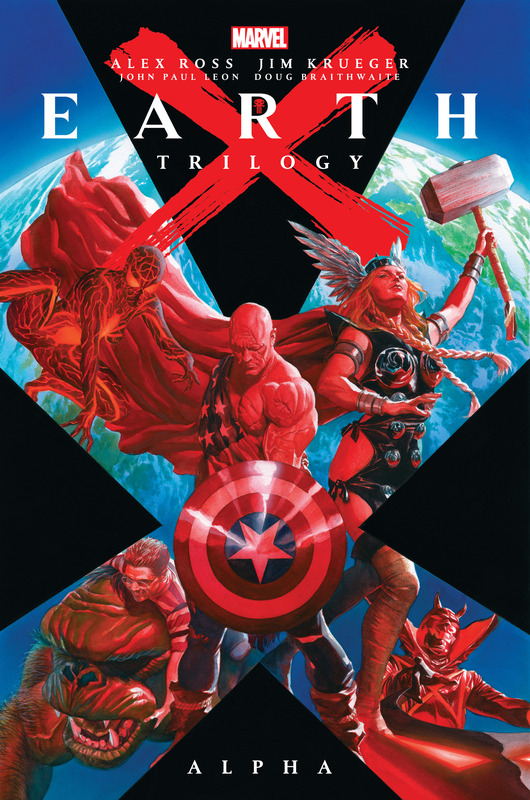 Comic-art master Alex Ross offers his dark vision of the Marvel Universe’s future — together with writer Jim Krueger, and artists John Paul Leon and Doug Braithwaite! The saga begins in a world where everyone has super-powers — and Reed Richards sets out to cure a calamity he fears he may have caused. Meanwhile, a battle-weary Captain America struggles to defeat a horrific new enemy of freedom, and Celestial forces beyond comprehension threaten a fate that only the Watcher suspects. Could it be that Earth itself is doomed — or can a new generation of heroes, including the legendary Mar-Vell reborn, save humanity? Brace yourself for bold reimaginings of the Avengers, X-Men, Inhumans, Fantastic Four, Spider-Man and more! 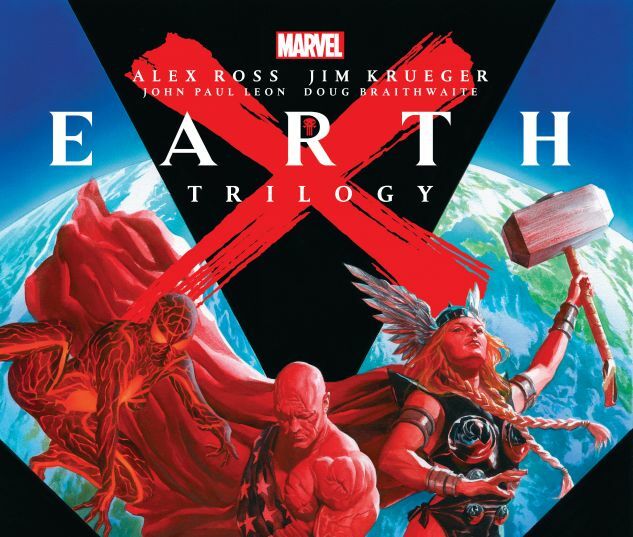 Collecting EARTH X #0-12, #1/2, #X, EPILOGUE and SKETCHBOOK; and UNIVERSE X #0-12, #X, 4, SPIDEY, CAP, BEASTS, IRON MEN and OMNIBUS.